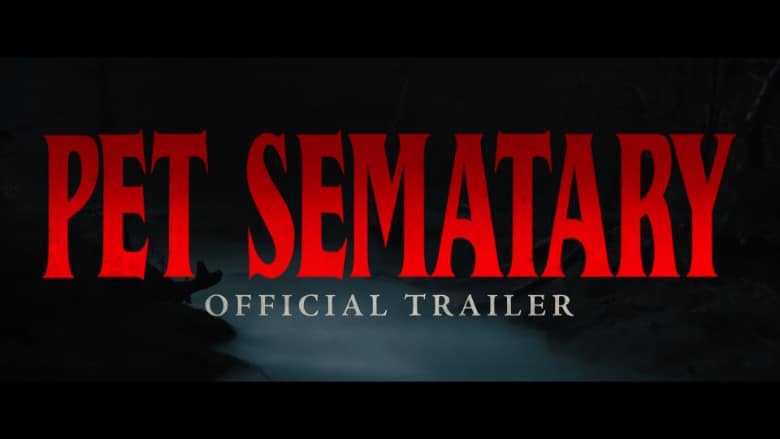 New Pet Sematary Trailer Builds Anticipation for April | Nerd Much? Paramount Pictures really let the leash off with the new Pet Sematary trailer the studio dropped this morning. The two and a half minutes of footage breaks the gist of the plot down while also putting some horrifying moments on display. There’s a lot in here, so if you’re hesitant about spoilers, you may want to avoid going any further. The new Pet Sematary trailer begins with Jeté Laurence’s Ellie Creed walking through the woods near her family’s new home. Once she returns home, her mother, Rachel, states that “Ellie discovered a charming little landmark” in the titular cemetery. Ellie’s father, Louis, then explains that there’s nothing scary about the cemetery and that death is perfectly natural. Cut a bit further and we get an interesting tidbit between Jason Clarke’s Louis Creed and John Lithgow’s Jud Crandall. Crandall explains that the swirl markings found in the woods don’t reflect “some campfire story” and that “they’re warnings.” “The local tribes carved them before they fled. They fear that place. There’s something up there. Something that dates way back. Those woods belong to something else,” Jud warns. We then see the return of the family cat from the dead as Jud’s monologue continues to play. “It brings things back” he states. And then we see Ellie run into the street to greet to reanimated pet – just as a semi-truck comes barreling down the busy road. There’s a funeral, and we hear the voice of Crandall yet again warning “I know what you’re thinking of doing. But they don’t come back the same.” Louis Creed obviously doesn’t heed the warning, as shortly there after we see Ellie’s return to the family home. Things begin to get really dark from there. “I should not have shown you that place. Your child is not the only thing that will come back,” Jud remorsefully states. “The barrier is broken” another character says to Louis in his office. And from there all hell breaks loose, as Ellie, and possibly other reanimated children/creatures begin attacking the Creed family. The new Pet Sematary trailer was great, giving fans hope that the directorial team of Kevin Kölsch and Dennis Widmyer knocked the reboot out of the park. We’ll find out when it hits theaters on April 5th.